In response to my PA Times article Comparing Urban Sprawl to Gentrification, an ASPA member messaged me another angle I had failed to bring up was the baby boomer generation. The member noted with baby boomer’s children out of the house, boomers are looking to retire differently than past generations. Up until now, I have studied millennials and urbanism, which mostly involves consumer behavior values of walkability and affordability. For millennials, those values are rooted in demographic characteristics such as being “digital natives” and having student loans as well as external factors like the economy or the terrorist attacks of September 11, 2001. Seniors and urbanism, or retirement and gentrification, are topics I had not considered. Senior citizens not only are growing old in new ways, but also have a set of special needs that match current urban development trends. 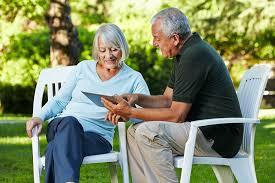 The old paradigm of senior citizens moving into assisted living facilities is over. Development thinking of the past century created a society sorted by race, ideology, and social economic status. This was well established by the book The Big Sort. Previously, age also segregated society. Cities like Arlington, Virginia catered to young professionals and college students while towns like Sequim, Washington (my home town) maintained an average age of white hair. This old paradigm required individuals to move as they progressed through life. College age students had to leave the suburbs to go to college in cities, young parents had to leave cities to give their children “safe” and “good” schools, and empty nesters moved to warmer climates. This new model of development, where seniors are “aging in place” instead of moving to age based communities, brings with it changes to the American home in three ways and mirrors the consumer behaviors of millennials. What do senior citizens need and what do those places look like in the age of UberEats? 2. Lean urbanism. Beyond these home features arises an entire field of home development that no longer caters only to one age group. Among urbanist wonks, housing affordability and local bottom up development are gaining a lot of excitement. One example of a small mixed use development that could have a large impact for seniors is “lean urbanism” as described by John Anderson. This example is of a small mixed use housing development called a “fourplex.” Fourplex’s have four individual housing units under one flat roof; two upstairs and two downstairs. Upstairs are affordable rentals, and downstairs are storefronts or the senior living of the future: apartments with no stairs. This is just one example of home development that can serve the needs and desires of old and young alike. 3. Community lifestyle. Seniors and millennials desire the same aspects in their communities. Public transportation is a major pull factor. Active and healthy neighborhoods with public spaces are sought after characteristics in a community. Access to health care and grocery stores as well as a food and art culture are high priorities. These are true for both demographics. We are seeing internal home features, actual housing and public services and spaces that tailor to mixed ages of residents. The old style of development of ageist segregation failed. The local governments that provide mixed use and diverse development, both in home and community, will thrive in this new paradigm. Let public administrators and developers take note: the demands of this new style of society are high.